An Opportunity to Purchase a Spectacular Finca with genuine rustic feel and style throughout, located in a wonderful verdant setting with mature trees, abundant vegetation and with 100% privacy and tranquillity. This property is very close to the village of Alhaurín el Grande with asphalt access and is distributed over three parts: A main house, a guest apartment and an area for horses with stables and manege, away from the dwelling. Main house: Entrance hall, living room with fireplace and access to the rear covered terrace with barbecue area, in addition there is a side terrace and another at the front of the dwelling. There is a fully equipped rustic kitchen adjacent to the independent dining room and with direct access to the sunny terrace with dining area for alfresco eating. 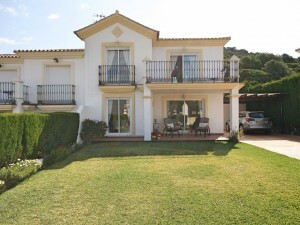 There are three double bedrooms with wardrobes and three bathrooms, two of which are en suite. There is also an office and laundry room. 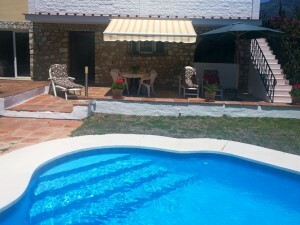 The guest apartment or studio is very bright with its own bathroom and is located next to the beautiful pool area. Exterior: Beautiful pool with 100% privacy surrounded by sunny terraces and with open views of the countryside and mountains. Elegant vehicle access with parking for several cars. Equine area: Three large stables with large covered area plus storage/ tack room and two maneges. This property is in very good condition with disabled access, solar panels for hot water, gas central heating, OCA license for horses and AFO certificate on place. 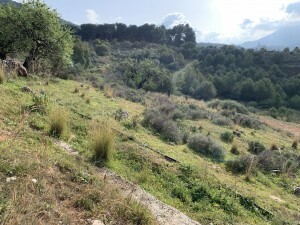 Large plot with innumerable fruit trees such as oranges, avocados, almonds, pears, lemons, medlars, plums of three kinds, figs, guavas, apricots, custard apples, grapefruit, persimmons, walnuts, tangerines, quinces, grapes, lychees, clementine, pecans , olives and plenty of water with own well plus water deposit. Plot 13.673m2. Total built size 334,78m2. Main house 177,22m2. Porches of main house 18,56m2. Terraces of main house 27m2. Apartment for guests 19,48m2. Room for purifiers 10,42m2. Stables 67,35m2. Porches of stables 14,75m2. 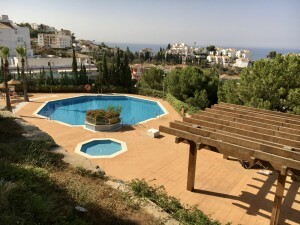 Swimming pool 46,86m2. IBI 601.46 ? per year.